My first review since early May, as I’ve been but a casual sipper since then. Let’s be honest: I found I was drinking for the sake of drinking, rather than for appreciation, so I decided some self-discipline was in order. ’Nuf said. The nose and palate tend to get rusty after having lain dormant, so my score may reflect the mere joy of the first serious tasting evening in several months. 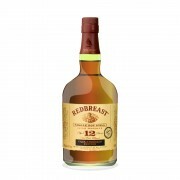 Or it may reflect how good I think Redbreast 12 CS is. I’ll amend things as necessary as I get back into a regular (but disciplined) whisky routine. Nose: Lovely fruits, both fresh and dried. Cocoanut and vanilla lay the foundation, with layers of raisins, apples, pears, and plenty of under-ripe bananas on top. All surrounded by almonds soaked in 7-Up. A flawless nose. Palate: So rich and malty, it could pass for Scotch. Very hot and full of sharp sherry when neat; loaded with vanilla and fruits with water added. Citrus fruits, vine fruits, dried fruits, melons…there’s dashes of all. Water extracts a layer of butterscotch / chocolate icing. Let it swish, let it dance. Finish: Longer than a Grateful Dead jam session. Add some perfectly charred, sweet-marinated ribeye steak to everything that’s on the palate. A denouement that’s as satisfying as the climax. Give it a lash, lads, and hold your hours. If whiskey were women, this one is Maureen O’Hara. Brilliant whisky. I scored it almost identical. Almost the same notes too. Nice one to come back to after a break. I have also realized that I've been drinking to simply write reviews and not so much for the enjoyment. Wonder if there's a nice way of doing both? Cheers to my two buddies, WhiskyBee and MaltActivist, for their kind words for my favorite whiskey. Ok, one of them, but certainly at the top of that list. 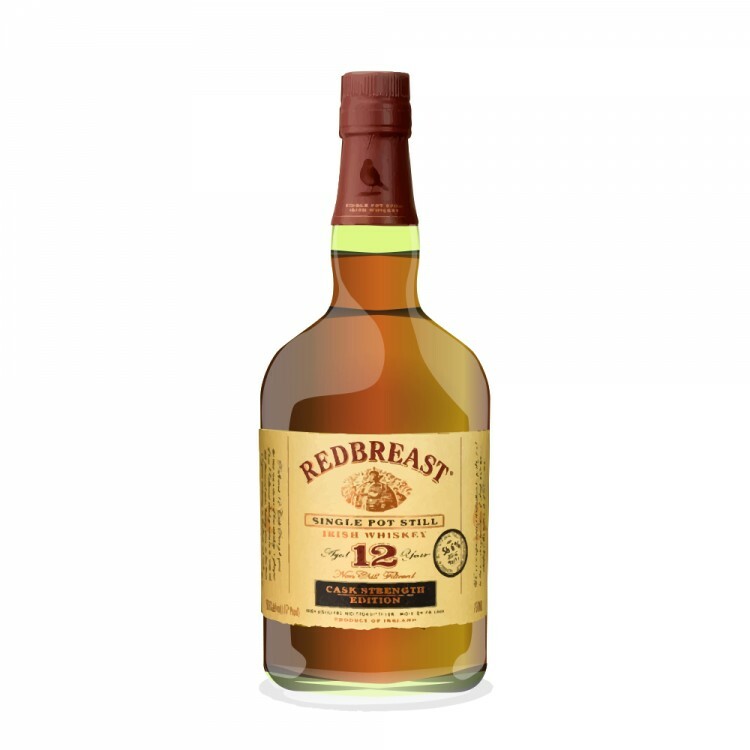 What I enjoy about the Redbreast 12yo Cask Stength and the Redbreast 12yo regular strength is they are both outstanding siblings from a fine family, but with different yet enjoyable personalities. Both make for a rousing good party. I had the 15 year old as it was heavily discounted here in Sweden last year (might still be thinking of..)it was really good, but am now intrigued to try this irish bad boy! Great review Bee! Cheers! I've tried hard to like this whisky. I just don't like the hot alcohol burn it delivers, nor do I find the flavor particularly enchanting. Thanks for your review, WhiskyBee. If you lived near me, I would have given you the bottle I purchased last winter.